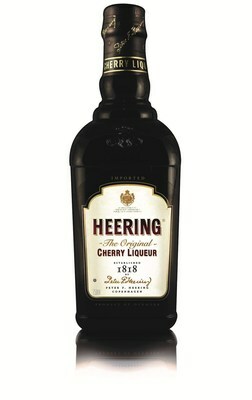 The Xante Company & Peter F. Heering announced to a full house which cocktail is most likely to intrigue Don Draper after work at the Manhattan Cocktail Classic event, Heering Goes Mad (Men), which ended the annual liquid inspiring gathering in New York City. The winning cocktail, called The Sour Cherry Sidecar (Cherry Heering, Cognac and fresh lime juice), was created by Stacy Nikkila of The Boom Boom Room. Stacy Nikkila and her winning take on the Sidecar will be a feature in Elle Magazine International, Gotham Magazine, OK! Magazine and The Robb Report. The cocktail was selected by an elite panel of professional judges, including Head Chef Geoffrey Zakarian, famed cocktail guru Sasha Petraske, Laura Lane of OK! Magazine, Daniel Curtis of The Robb Report, and Sheila Marikar of ABC News Now. “It was a pleasure hosting the judging of Heering Goes Mad (Men) cocktail competition to benefit DIFFA (Design Industries Foundation Fighting Aids) at The Lamb’s Club and it was an exciting experience to see the different cocktails that the up & coming mixologists from across the world are creating,” said Geoffrey Zakarian, Partner/Executive Chef of The Lambs Club.